There are a few key qualities travelers look for in an airline when booking travel plans. Dependability is among the most important of them second only, of course, to safety. Every frequent flyer knows there’s nothing worse than being stranded in an airport with no clue when, if ever, your plane is getting off the ground. So, it’d behoove you to know which airlines are the most punctual. 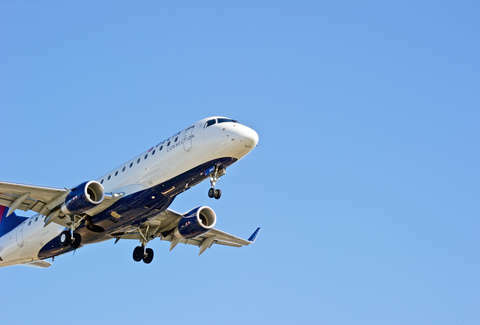 FlightGlobal released its 10th annual study of the most on-time airlines in the world this week, giving Delta the top spot for a second year in a row with an 86% punctuality rating. Last year, the airline was the first US-based airline to win the distinction. They’ve increased their timeliness 0.19% since then, which may not seem like much, but every second counts when it comes to air travel. Not far behind Delta was Qatar Airways with an impressive 85.88% on-time percentage. The airline was also named the world’s most on-time global airline network, factoring in flights by the airline and its affiliates and partners. In third with 85.04% was KLM Royal Dutch Airlines. The data was collected by analyzing more than 120,000 operated flights per day. Real-time flight status, departure and arrival data from more than 600 global sources was also taken into consideration. What exactly constitutes timeliness as far as FlightGlobal is concerned? While many travelers might disagree, the site considers a flight on time if the plane arrives at its assigned gate within 15 minutes of the scheduled arrival time. Perhaps because any longer than that, and passengers start to get restless and downright irate. Seriously, just take a gander through your go-to airline’s Twitter mentions one day. You’ll see.